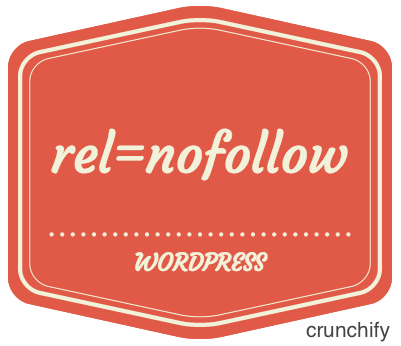 WordPress SEO and rel=”nofollow” – How to Add NoFollow Attributes to Specific Category in WordPress? Link building is one of the oldest and best practices in search engine optimization (SEO). When a website contains your site’s link (i.e. links to your site), in terms of search engine score, it’s a plus point for your site. The generic term you’re probably looking for is ‘backlink’. Sometimes you don’t want to add additional Google Juice to Affiliate or marketing link. There’s an easy solution. Use the nofollow tag. Google won’t follow the link, and you’ll remain in good standing with the search engine. The important thing to remember is that not every site is the same. In some situations.. maybe a single landing page where all links are affiliate or a site where all outbound links are downloads you might want all the links to be nofollow. There is one WordPress Plugin called “External Links” only changes links in the post content. You can always have external links elsewhere. One important point to note here is that: WordPress adds automatically adds nofollow to all links in comment sections. NOTE: Adding nofollow to all links is definitely not something for everyone and it’s something I wouldn’t recommend a blogger, but in some cases it can be very useful. Should I add rel=”nofollow” to all Social Share links? Yes, you should. Let’s check it out. I’m using simple social sharing buttons. Please right click on any of the icon and click inspect element (if you are on Chrome browser). You should see something like this. These endpoints are intended to be called directly by browsers and are designed for user interaction, and therefore cannot be called by scripts or backend services. We strongly recommend adding rel="nofollow"attributes to your HTML tags, otherwise search engine crawlers who follow your sharing api links can generate false shares in your analytics reports. How to Add NoFollow Attributes to all Links in a Specific Category? If you want to add nofollow to all links in a Specific Category then simply put below code to your functions.php file. You may also want to check out list of all WordPress Tips. Just wondering, is yours a recommendation only for sharing buttons or also for Social media button to the social media accounts, as I just noticed that your social media buttons don’t have the “nofollow” attribute and I only have those buttons on my site as well. Hi Silvia – yeah. I’ve only added rel=”nofollow” to social sharing buttons which are at the bottom of the post and floating bar. Any reason you want to add nofollow to your own category? It’s not a good practice IMO. Thanks for answer. I want to concentrate more weight at the main page for better seo optimisation on the main keyword. Very useful, finally I found solution i’ve been looking for… Thanks a ton !